In this budget, India's farmers and villagers, as well as companies with exposure to agriculture, emerge as the biggest winners. Bond investors might just be the biggest losers. Prime Minister Narendra Modi has delivered the election-year budget many expected. 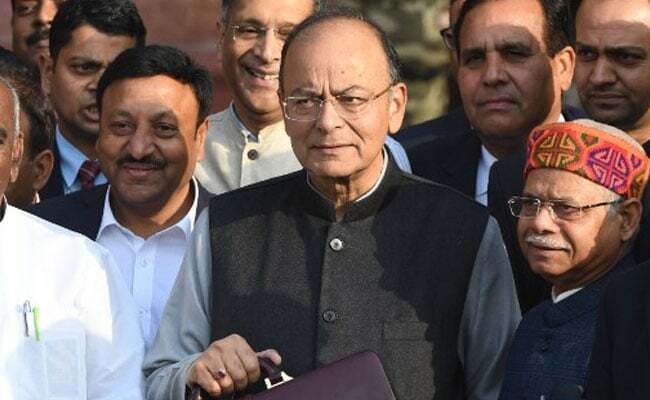 With national polls looming next year -- and possibly as early as late 2018 -- Finance Minister Arun Jaitley has rolled out a budget designed to help distressed farmers and rural areas while boosting growth, jobs and private investment. In this budget, farmers and villagers, as well as companies with exposure to agriculture, emerge as the biggest winners. Bond investors might just be the biggest losers. Farmers have been protesting across the country. This budget promises to raise the minimum price offered to farmers for crops, while investing heavily in agricultural markets across India. It also delivers more money for rural areas, including irrigation projects and aquaculture projects, and directs state governments to purchase extra solar power generated by farmers using solar-powered pumps. Agriculture-focused companies such as Shakti Pumps India Ltd., Jain Irrigation Systems Ltd., KSB Pumps Ltd., Kirloskar Brothers Ltd., Avanti Feeds Ltd., Waterbase Ltd., JK Agri Genetics Ltd., PI Industries Ltd. could benefit. The government's new flagship National Health Protection Scheme, which aims to insure as much as 500 million people for up to 500,000 rupees a year of care, could benefit companies such as Apollo Hospitals Enterprise Ltd., India's largest hospital company, as well as Fortis Healthcare Ltd.
With Jaitley promising record infrastructure spending on roads and railways, construction and engineering firms, as well as train wagon-producers, could benefit. That includes Larsen & Toubro Ltd., Hindustan Construction Co Ltd., NCC Ltd., IRB Infrastructure Developers Ltd., Dilip Buildcon Ltd., Titagarh Wagons Ltd., and Cimmco Ltd.
With boosted spending on India's vast hinterland, fast-moving consumer goods companies such as Hindustan Unilever Ltd., Britannia Industries Ltd. and Marico Ltd. could benefit as day laborers get jobs and disposable income. Other companies with rural exposure include: Hero MotoCorp Ltd., Mahindra & Mahindra Ltd., Larsen & Toubro Ltd.
With 60 percent of gold demand coming from rural part of the countryIndia, the budget's focus on boosting rural and farm incomes could benefit companies such as Titan Co Ltd., Tribhovandas Bhimji Zaveri Ltd., PC Jeweller Ltd.
With the government pledging to expand regional airport construction, firms such as GMR Infrastructure Ltd. and GVK Power & Infrastructure Ltd. could benefit. In order to boost domestic manufacturing, Jaitley's budget lifts customs duty on mobile phones to 20 percent from 15 percent. That might lower returns for Apple Inc. as they seek profits in one of the world's fastest-growing mobile phone markets -- or force them to pay out to set up local factories. Bond investors drew some relief from a lower than expected borrowing program. Nevertheless, the relief could prove short-lived. India missed its fiscal deficit target of 3.2 percent, saying its targeting a 3.5 percent target for fiscal 2019. Big bond investors such as country's state-owned banks could be hit as yields go even higher than the 96 basis points they climbed in the past six months, the most in Asia. Shares of HDFC Bank Ltd., ICICI Bank Ltd., Axis Bank Ltd., State Bank of India, Bank of Baroda and Punjab National Bank might be affected. Mr Jaitley praised the armed forces and promised an industry-friendly policy to promote defense production as he addressed parliament. But there was no indication of a huge boost to defense spending. Companies such as Bharat Forge Ltd. may not see a boost. To help pay for its ambitious health plans, which are meant to benefit millions of poor, the government has increased an existing health and education levy to 4 percent from 3 percent. That applies to all products and services -- and will make almost everything slightly more expensive. The government announced that while it's considering the use of blockchain technology to organize records, it doesn't consider cryptocurrencies legal tender and will take all measures to eliminate use of these crypto-assets in financing. That will hurt the nascent cryptocurrency trade and may affect the business of existing exchanges. Arun Jaitley Returns From US After Treatment: "Delighted To Be Back Home"